A Skin & Beauty DNA Test that tells you your best skin care steps. OriSKIN covers more than 190 genes to give you 10 Insights into your skin health, skin ageing and skin sensitivity. No more trial and error. Simplify your skin care, and pamper your skin using a personalised serum containing all the powerful key actives your skin needs in a single clean formulation made with no synthetics, GMOs or animal products. Your skin's smoothness, firmness and elasticity depend on the balance between collagen production and breakdown. Genetic variations in aquaporins (integral cell membrane proteins that allow movement of water) determine how well your skin retains moisture and ages. Caused by the overproduction of melanin, pigmentation commonly appears as skin ages and tends to develop earlier in Asian skin. Genetic variations may cause skin barrier defects, aggravate skin sensitivity and irritation. Damage to skin by ultraviolet radiation causes pigmentation, sagging and wrinkles. Clean formulation with no parabens, alcohol, GMOs, phthalates or synthetic fragrances. My customised facial serum had a soft creamy texture and a faint botanical aroma. After applying and gently massaging into my face and neck, it absorbed rapidly. Because it’s prepared based on my genetic properties, the serum fits very well with my skin’s needs. My T-zone is not sticky or oily anymore, the dry areas on my cheeks are now moisturized, and my skin became visibly brighter and softer. The serum had a refreshing creamy texture that was easy to spread onto my skin. And it absorbed very fast! My skin was immediately visibly more refined, firmer, brighter and moisturized. Definitely worth the investment since it’s a one-time test for your skin and made to order according to what it really needs! I found the test simple and easy to use - all I had to do was fast for half an hour before spitting a small amount of saliva into the tube. Going online to do the questionnaire was quite straightforward. My reports were very comprehensive and detailed, and easy to understand. The test was simple and easy to do just by reading the instructions. Only took me a few minutes to spit my sample. 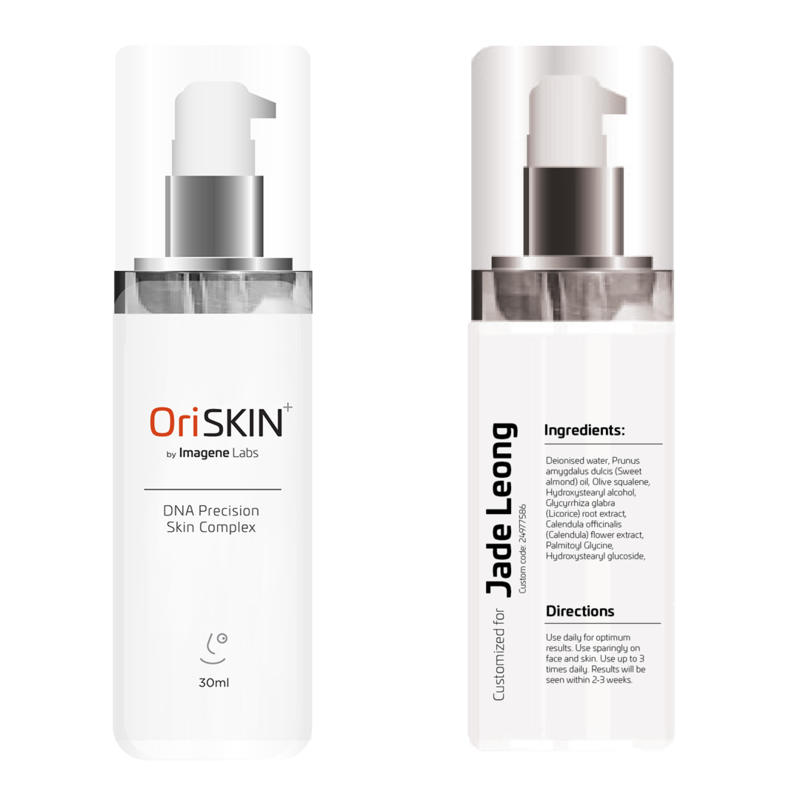 I like my OriSKIN PRO report because it benefits me to know more about both my skin properties and my vitamin deficiencies, and the recommendations help me address them. From my skin and nutrition reports, I now know which skincare ingredients will improve my current skin condition; and the right foods and supplements I should take. I use the serum after cleansing and toning. My skin used to be dry and oily (combination); I now feel that it is more well balanced, hydrated and no longer oily so my make-up stays on longer. I also feel that my skin is brighter, less congested, smoother and softer. Pores are less obvious.